Why Is The Japanese Used Truck Canter Popular Overseas? Cars that can still be driven overseas are being purchased to export. The demand for Japanese cars in developing countries such as India and African countries is quite high. Because the distribution of goods and people is essential to growth, India and Africa are at the center of this growing market. Robust Japanese trucks that can handle bad roads are in broad demand. Even trucks that are no longer fit for use in Japan are treasured in other countries. That is why exporters are able to purchase them at a high price, and without raising the sell price much above the purchase price, are able to make a profit through the high volume. Even in the case of trucks that no longer run, parts can be removed from them for export. Tires in good condition and other used parts qualify, so the truck might be assessed more positively than you would think. All trucks used in Japan are in beautiful condition. Usually we do not think of trucks as beautiful, but when you go overseas, your attention will be drawn to the cars and trucks.Even cars with damaged and battered bodies are still in use.If you pay close attention, you will notice that there are a considerable amount of used Japanese trucks. They are trucks which could no longer be sold in Japan and so were exported and sold overseas. 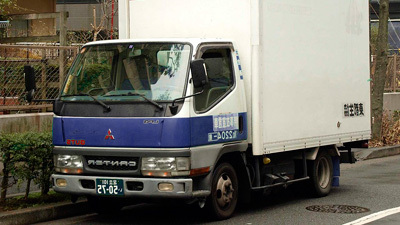 Japanese cars are very popular overseas.Compared with many overseas products which look good but break easily, robust Japanese products are well trusted.Therefore, even used trucks that are well into old age can still be seen running on city streets. Both the manufacturers and buyers of these trucks can rejoice that they are still being well used. Used Japanese trucks are definitely in high demand overseas.